Round trip transportation to Oktoberfest in Kitchener-Waterloo. Visit to Wilkommen Platz in Kitchener included. Visit to Chicopee Haus Festhalle for Oktoberfest celebrations included. Dinner and one drink included. Live music, professional dancers and fun activities all evening. $85 per person. HST extra. 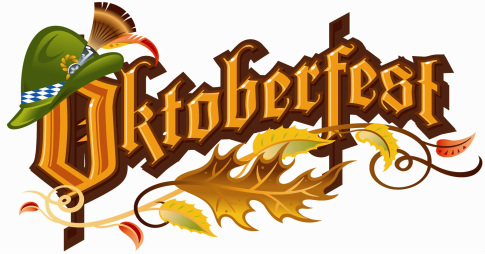 We start off our fun tour today with a trip to Wilkommen Platz, the heart of the Kitchener-Waterloo Oktoberfest! 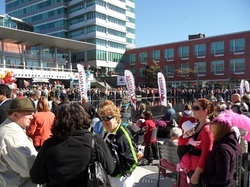 It's a 'Bavarian Village" in downtown Kitchener with free live entertainment. Check out the displays and activities, excellent food and beverages, information, souvenirs and a Bier Garten. And start to get into the feel of Oktoberfest! After our visit to Wilkommen Platz, we now board our bus and head to our festhalle for the evening's Oktoberfest Celebrations. This year we will be going to Chicopee Haus at the Chicopee Ski & Summer Resort. The rustic ski lodge is transformed into a traditional festhalle that defines Gemütlichkeit! To start with, we will sit down for some Oktoberfest dinner. You will have a choice of one of three dishes followed by dessert. An Oktoberfest band will be playing all evening along with a contemporary band, this year it will be featuring Fred Hale & Kenny Munshaw. Toe tapping music is guaranteed! Chicopee Haus won the award last year for the best Oktoberfest Festhalle. They do things a little differently and there is bound to be something that catches your interest. Before or after dinner, you can enjoy their outdoor area while having a drink in a Muskoka chair by the fire. If dinner isn't enough for you, after dinner you can indulge in their famous late night menu featuring: Schnitzel Sliders, Sauerkraut Fritters or more Chico-bits (bite sized strudel). Try your luck in their potato gun shooting range or fire a pumpkin from their trebuchet. Be entertained by their house band, featuring Fred Hale & Kenny Munshaw, while watching authentic local dance groups. Relax and enjoy a massage in the Zen-toberfest Loft (brought to you by Urban Wellness Studio). And don’t forget to take home a keepsake from the photo booth, or purchase one of their classic Bavarian check Oktoberfest hats. For dinner this evening, you will start with a free drink ticket which can be redeemed with your server or at the bar. Rickard’s White Beer Braised Chicken served with Bacon Romano Perogies, Sauerkraut, and Homemade Apple Coleslaw. German Style Pulled Pork on Pretzel Loaf served with Bacon Romano Perogies, Sauerkraut, and Homemade Apple Coleslaw. Gemütlich-zza (Chicopee’s original pretzel crust pizza, topped with Bavarian cheese, Oktoberfest sausage, sauerkraut & bacon toppings) served with Homemade Apple Coleslaw. After the main entree, everyone will get Chico-Bits aka bite sized strudel for dessert. Milton arpool Lot, Hwy 25 & Hwy 401. We leave at approximately 3:00 PM. Actual pickup times vary by stop and will be sent out in the final email to all registered attendees, 2 days before the trip. We return to Toronto at approximately midnight. The last TTC subway train from York Mills Subway Station leaves at 1:12 AM so you will be back at the station in plenty of time.